Railroad Days is approaching quickly! 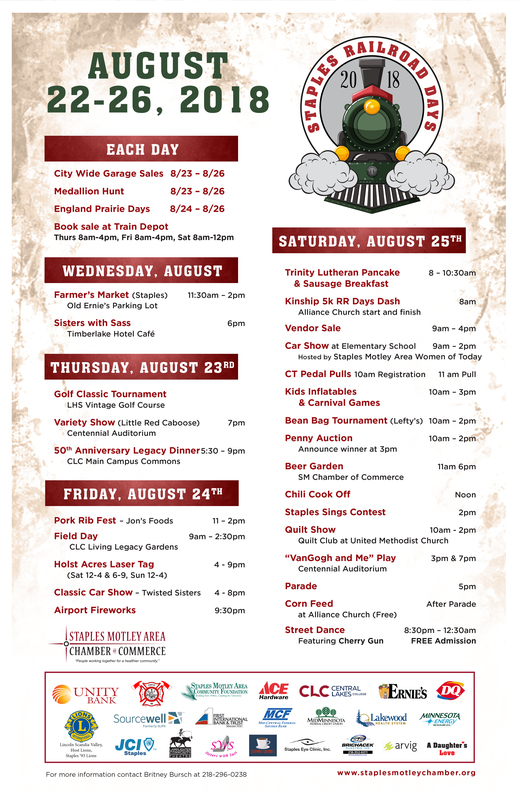 Three fun-filled days – August 23-25, 2018 – all celebrating our Staples community and local area. There are so many new and returning activities. Make sure to review our event poster for all the happenings. And there’s still time for your business or organization to participate as a vendor and in our parade. View or print a vendor form and/or parade registration.